How do I attach my form to an email message to someone? I understand that you want to share the form with others through email. 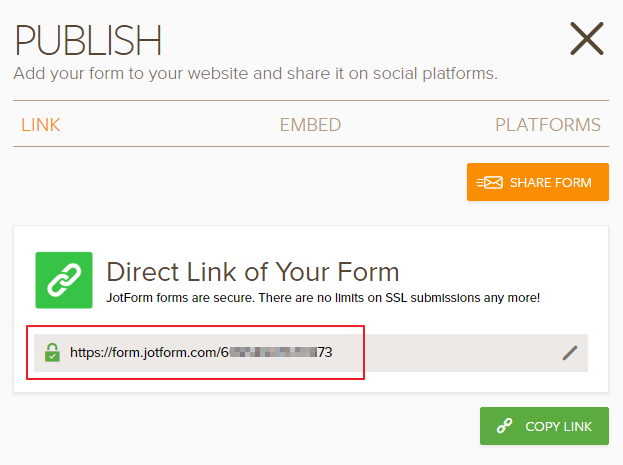 You can get the direct link to the form from the JotForm so that you can send the link to other through your email. 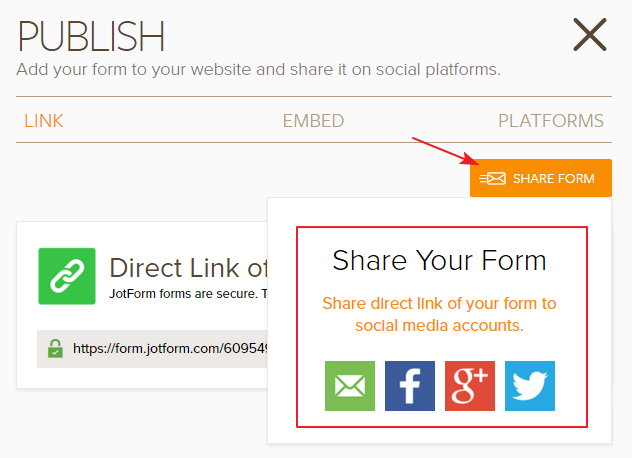 If you want to share the URL of your JotForm through your Social accounts by clicking on Share Form URL.